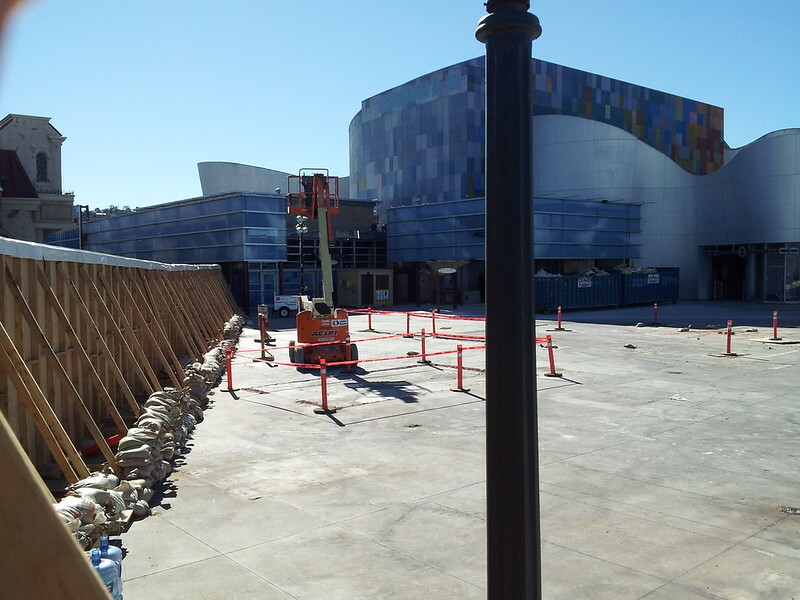 January 20, 2013 – Hello again from Hollywood! Miss B was back in the park for the 3rd consecutive week yesterday, and things are moving fast as we enter the off season. 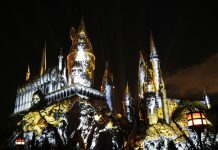 Here’s a look at what’s happening in the park right now, with construction projects getting underway, and the final traces of a beloved attraction. Upon entering the park and making your way towards New York Street, you’ll notice something is missing – a good deal of trees! 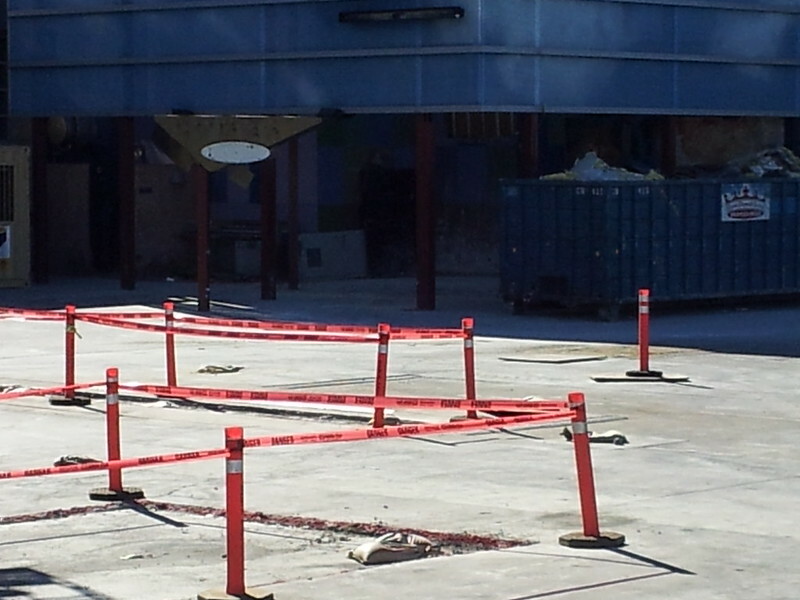 The Wild West arena continues to be flattened out and re-styled, as some trees have been removed to clear up space. 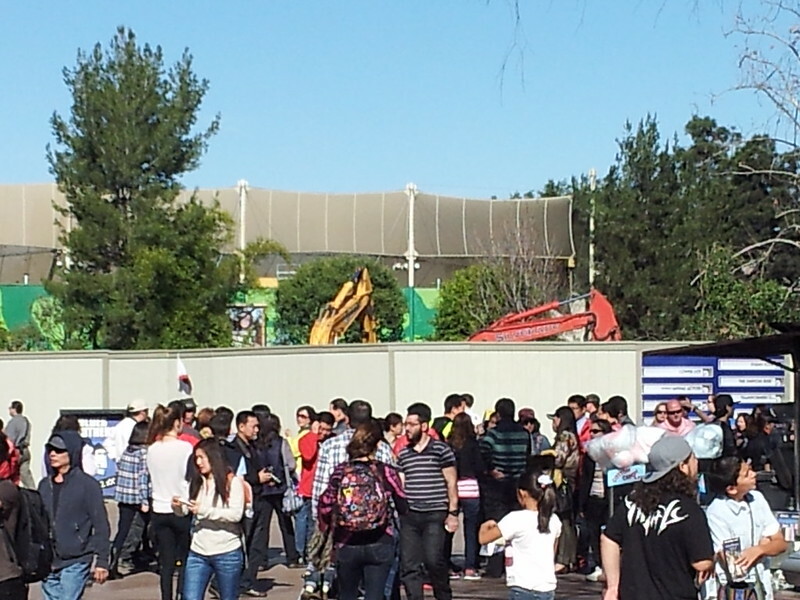 Here, you can see the construction equipment looming over the work walls – and a crowd! This shot really shows how bare the skies above the West are. This also meant a lot less shade on the London street – and with the bright SoCal sun coming back yesterday, that meant a lot less people lingering on this side! 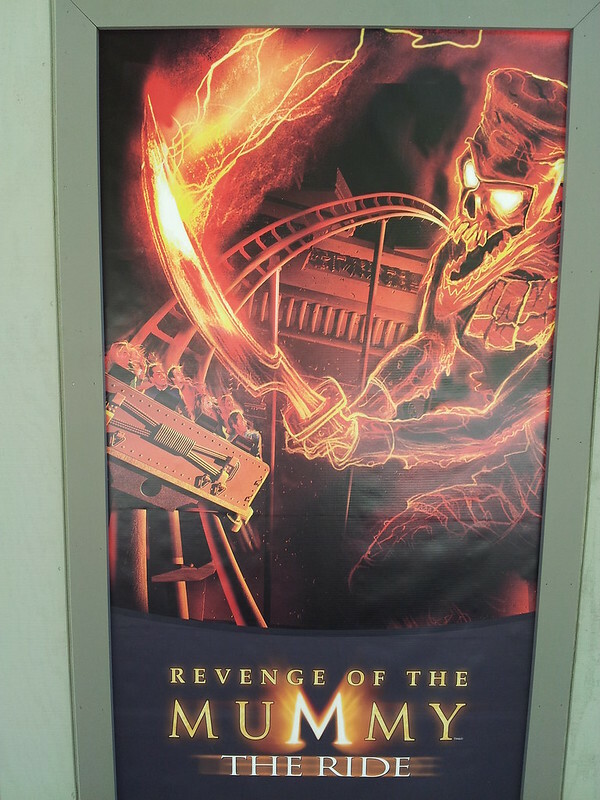 In an effort to spruce up the boring work walls that had no theme to theme, Universal has added large movie-theater style attraction posters, like this one of Revenge of the Mummy. 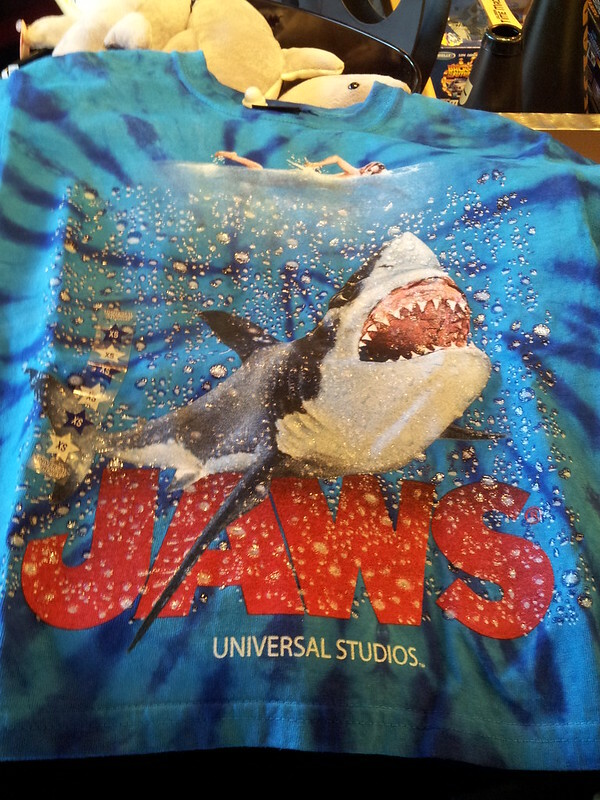 They also had some featuring Waterworld, the Studio Tour, Shrek 4D, King Kong 360 3D, and my personal favorite, Jurassic Park the ride. 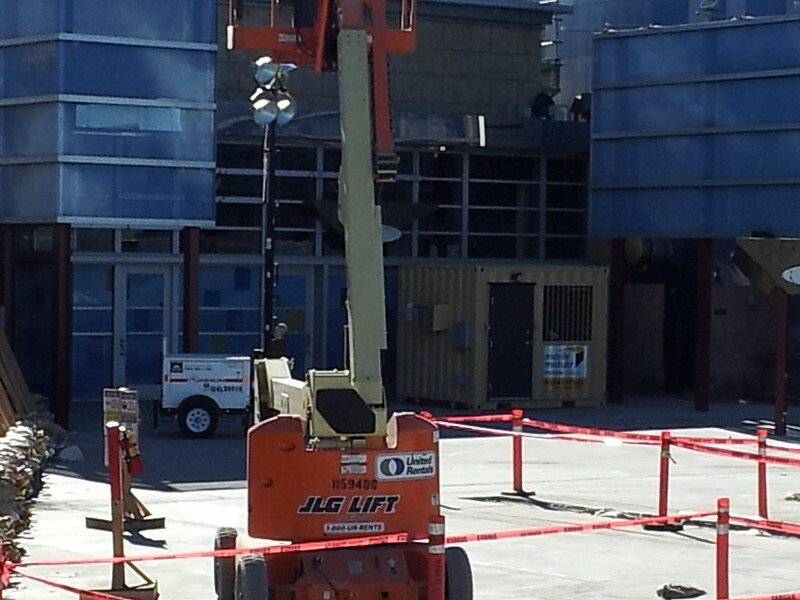 These work lights were also high above the work walls, pointing to night time construction. 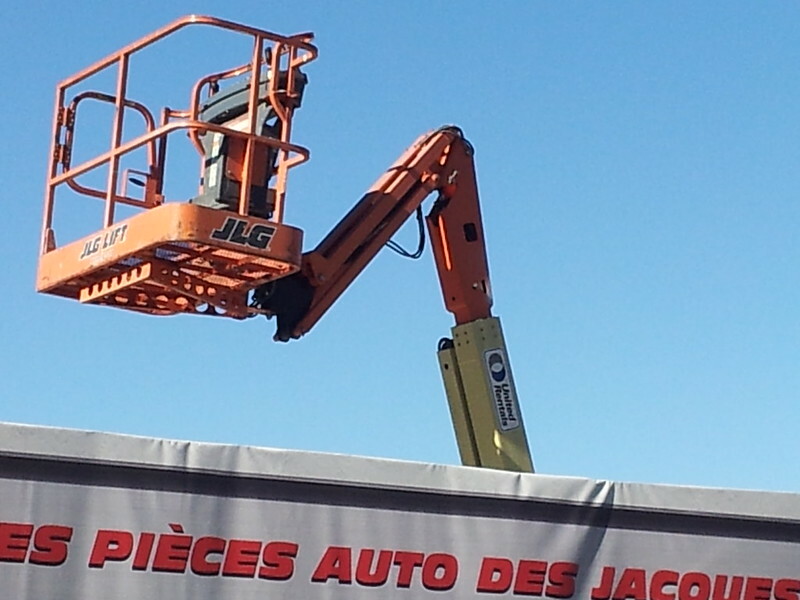 This seems likely, as there hasn’t been a peep of construction equipment of a sign of any workers during park hours. And then comes the fun part – the look behind the walls! Look at those dumpsters in the back full of old insulation materials. 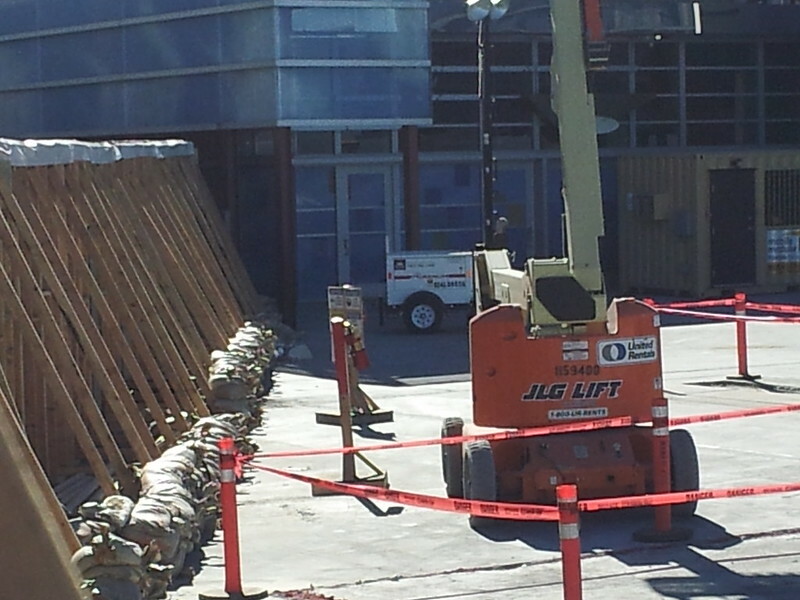 Is this a sign that walls are already being torn down? I think so. 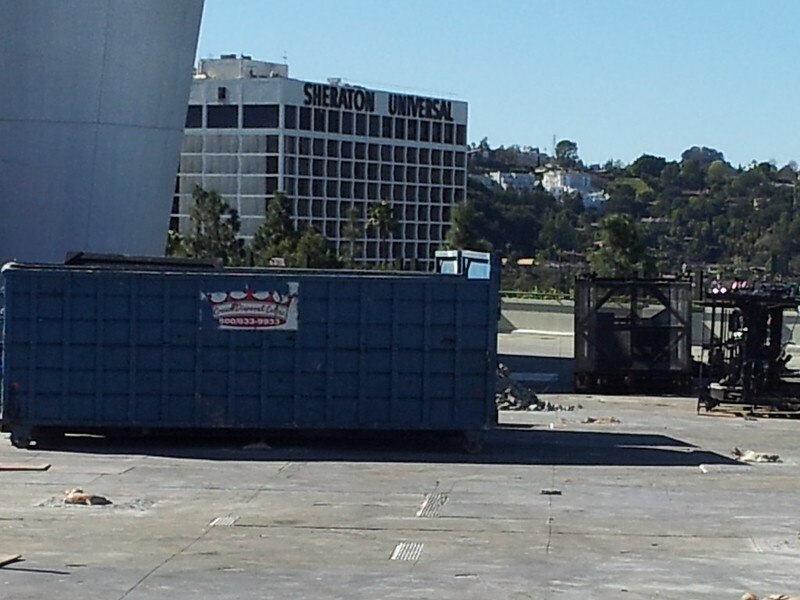 More dumpsters and a good deal of steel as well as a small tractor on the far side of what used to be Coke Soak. Definitely some heavy lifting going on over here. Here’s a wide look at the main area of what was Coke Soak just a few weeks ago. So much empty space! 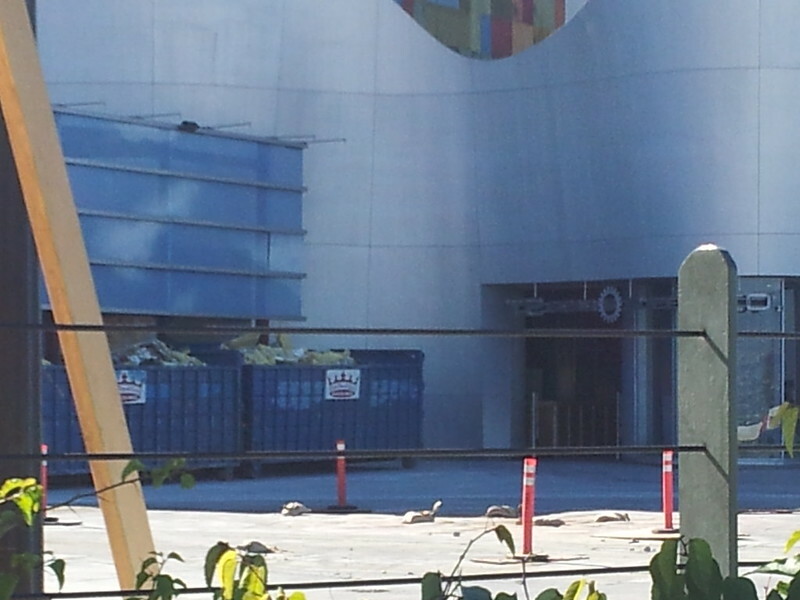 A little bit closer, and we can see a work bungalow set up next to the entrance to Cyber Grill. 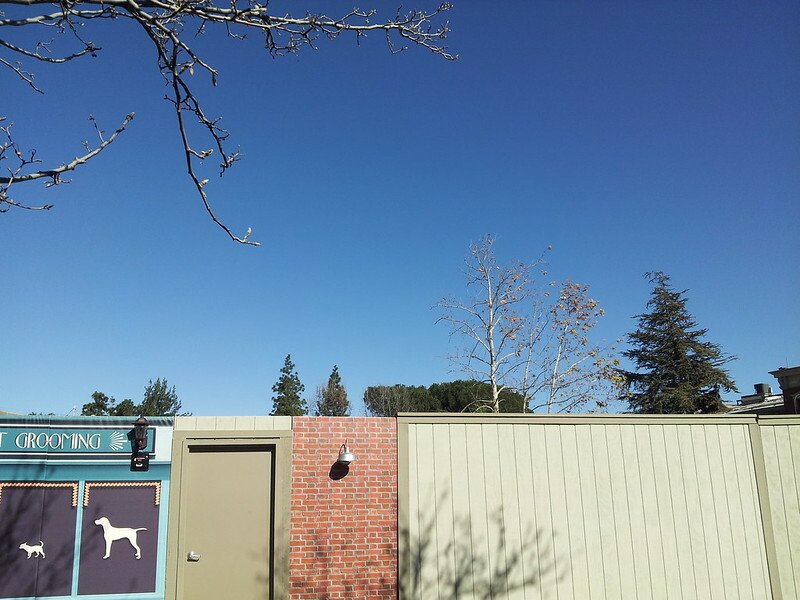 This office for the construction team also seems to suggest that they’re working at night, and need a place to take breaks when the rest of the park is closed down for the evening. This photo should give you just a bit more perspective on the positioning of all this. You can see construction from the Universal Sheraton, and anything they do to the area will be seen from the surrounding hillside. 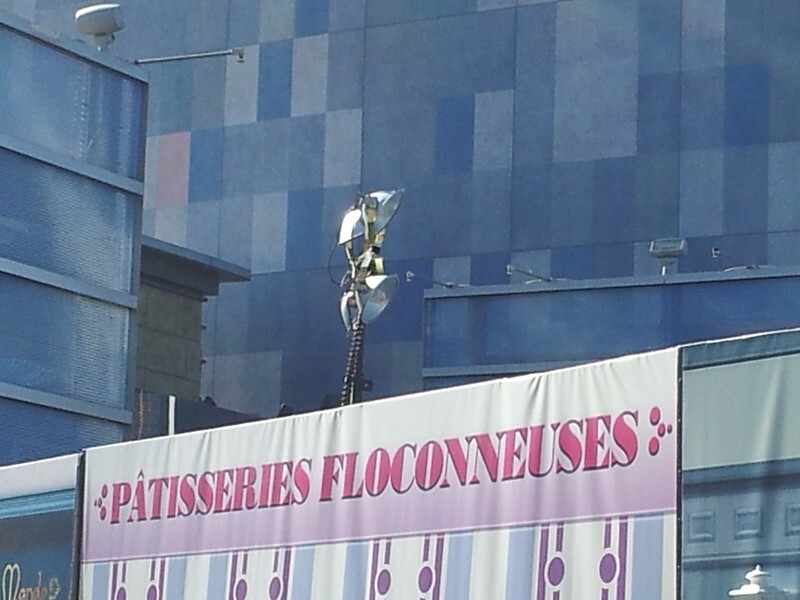 This may impact how Universal styles the new area. You can see the work bungalow better here, and see how Cyber Grill no longer has any trace of T2 left on it, other than the design on the window clings that prevent people from seeing inside. 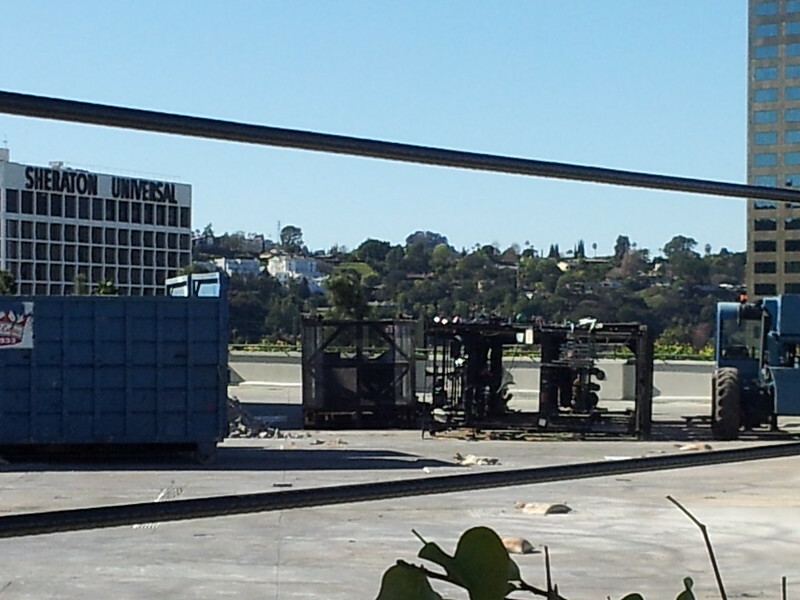 And the old Cyber Grill sign is no more. The lettering has been removed, though the triangular sign front remains – as well as the outline of the word Cyber. 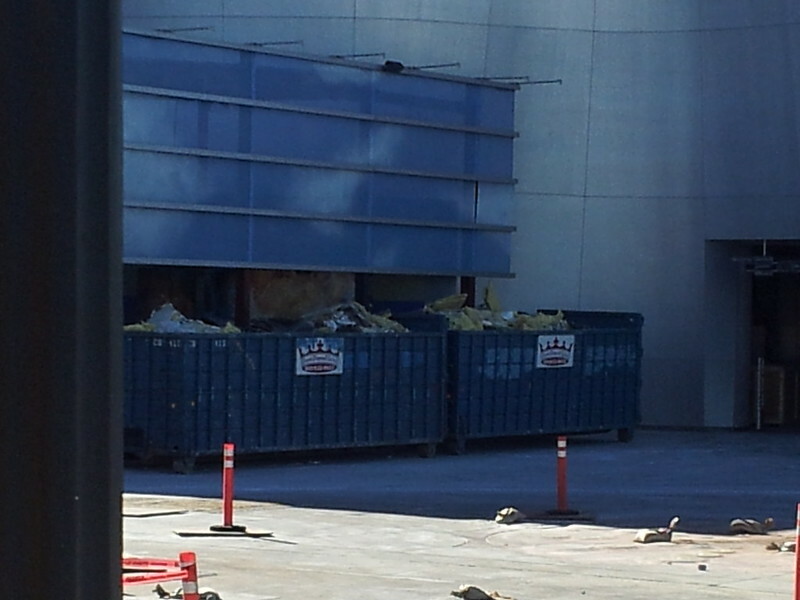 In case you didn’t believe me about how full those dumpsters were before, here’s an even closer shot. Look at all that foam and padding! They’re not playing around with this removal. Also, you can’t see it clearly, but the photo op with the Harley has been removed – you can barely see that they’ve removed the background from the wall. 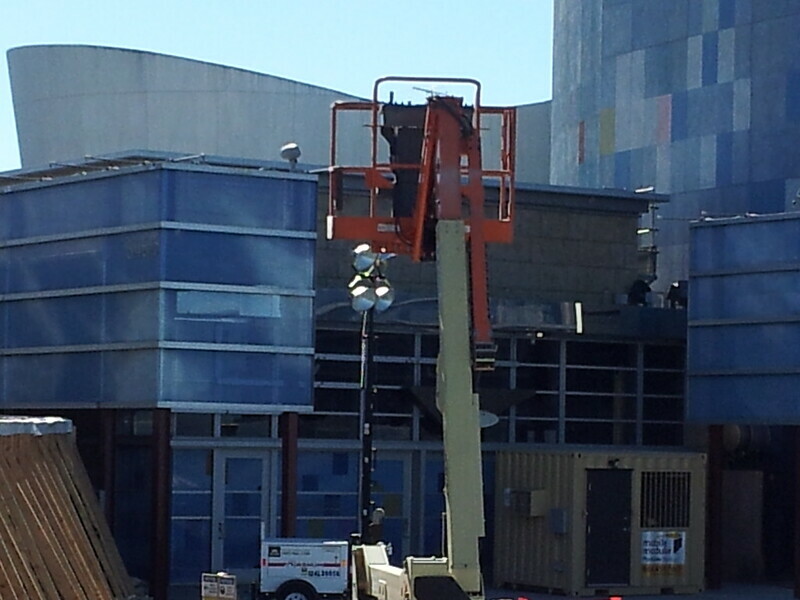 Also note how high this work lift is – it’s above the short side of the building. 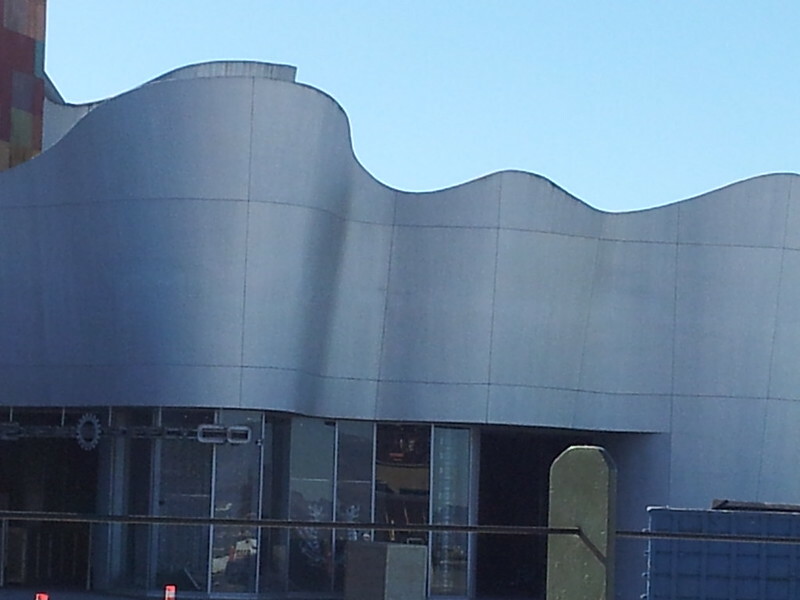 They’re already working on the upper trim of the building, and may well be removing the T2 design elements on the side of the building very soon. 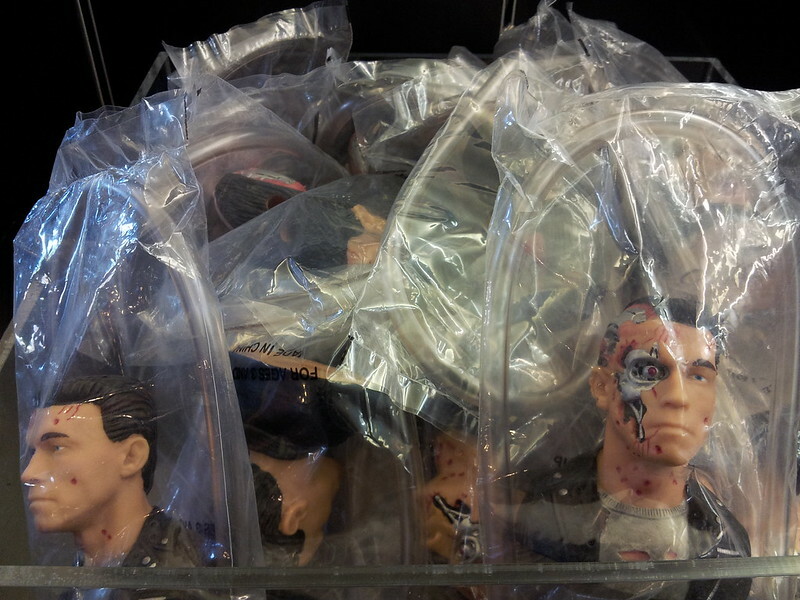 And here we see that the T-800 Endoskeletons have been removed from the window displays, as well as the other design elements from the franchise such as the rubble and skulls. The windows are empty, as is the store, and the lights have been removed from the Supply Co. sign. 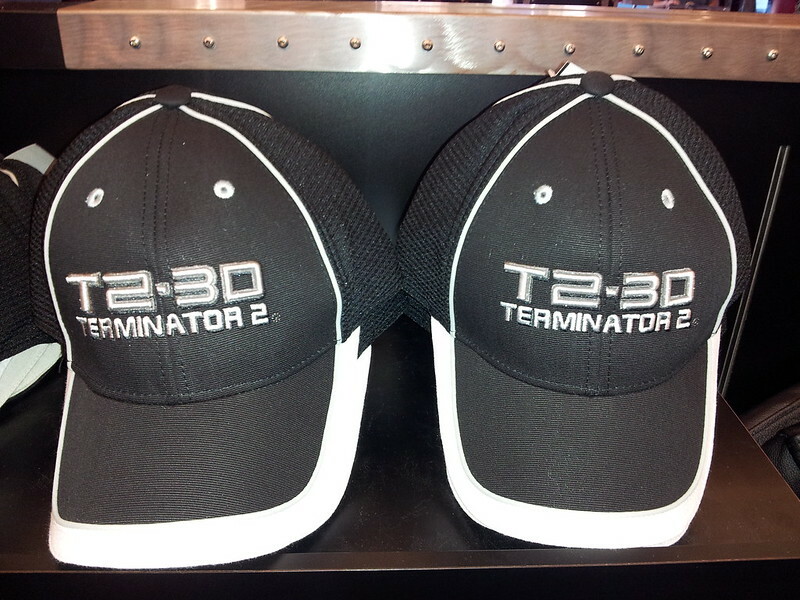 Farewell, T2! 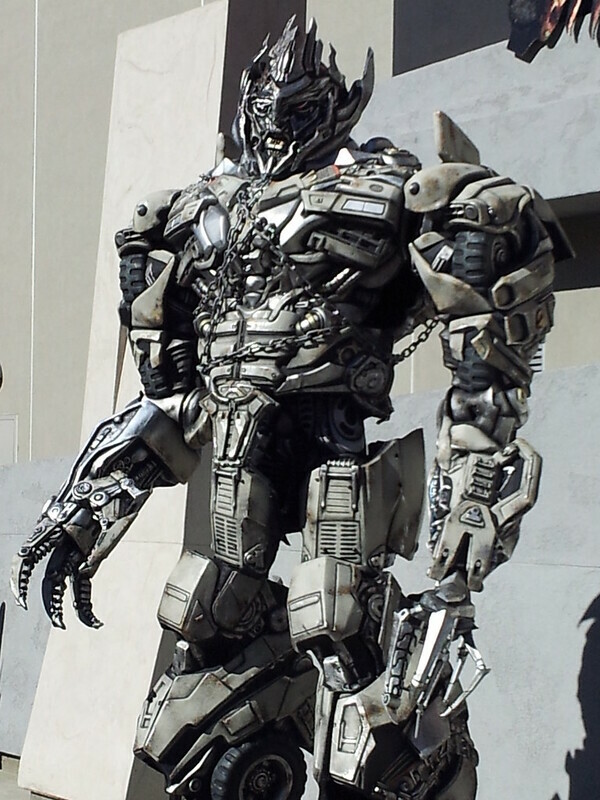 Moving from the Upper Lot downstairs, we finally got a good glimpse at Megatron! 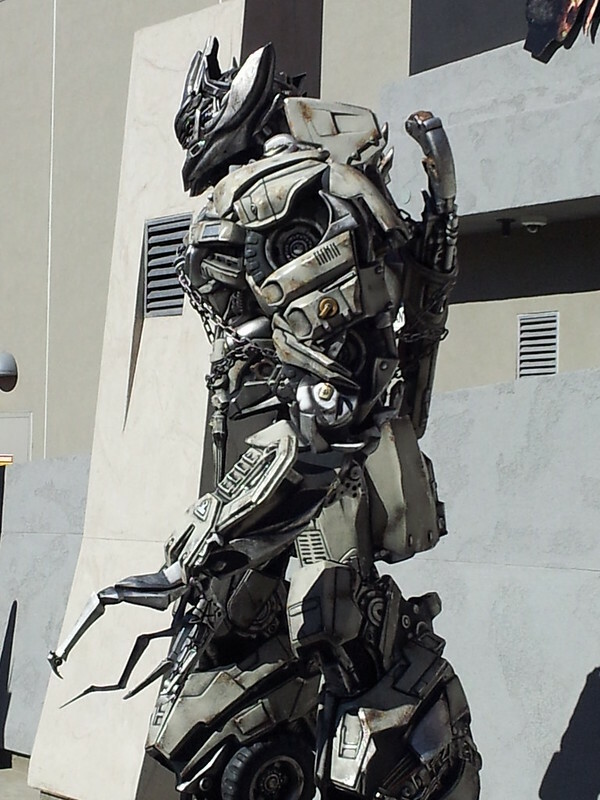 He is bigger than Bumblebee but about the same size as Optimus Prime. And if you thought they got the details down for the other two, you haven’t seen anything yet! 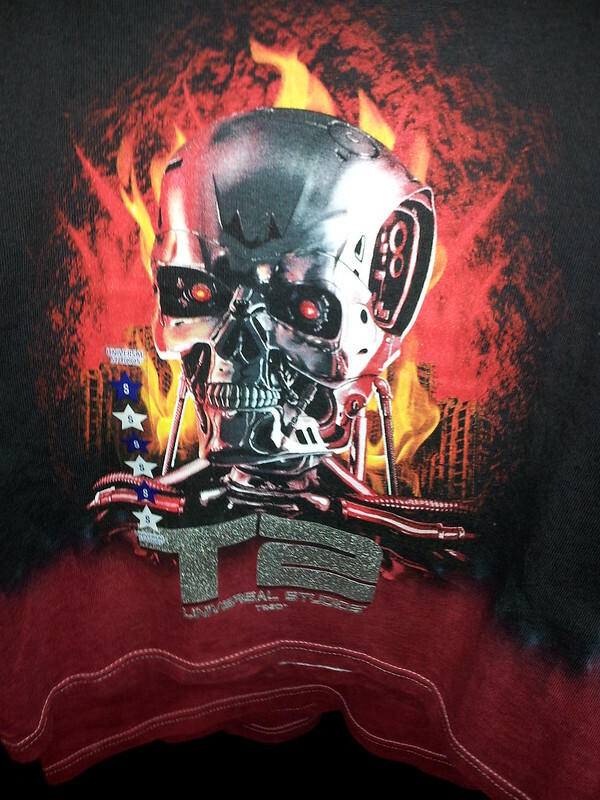 They even put in the details of the chains around him, and the scar on his head. We didn’t linger in front of the Lord of the Decepticons for very long! …and this was a weird one! These are soda bottle toppers! 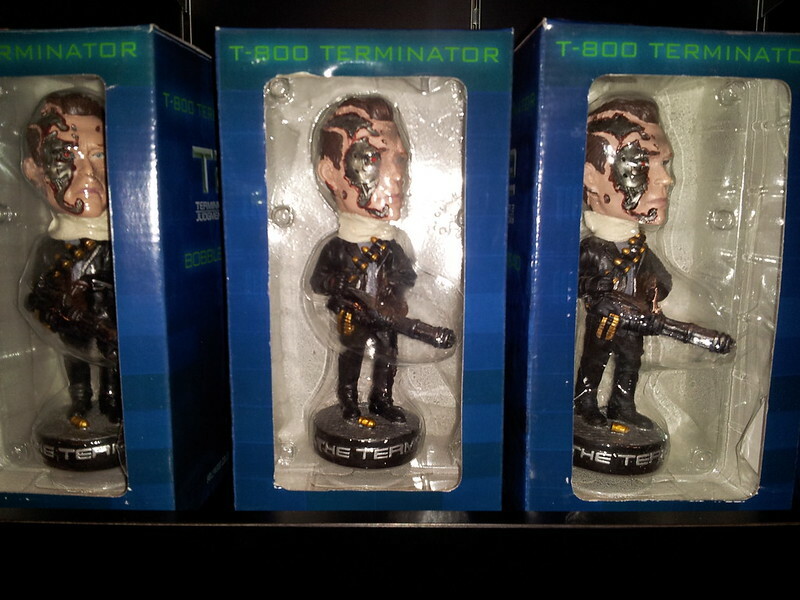 You screw the T-800’s head onto your soda bottle and drink through the straw inserted through the top of his head. Not sure how much these guys cost. We caught the statue man on the move over by New York Street! He was kind enough to stop for a photo before going on to delight and terrify the crowd by the House of Horrors Exit. Gone but never forgotten! 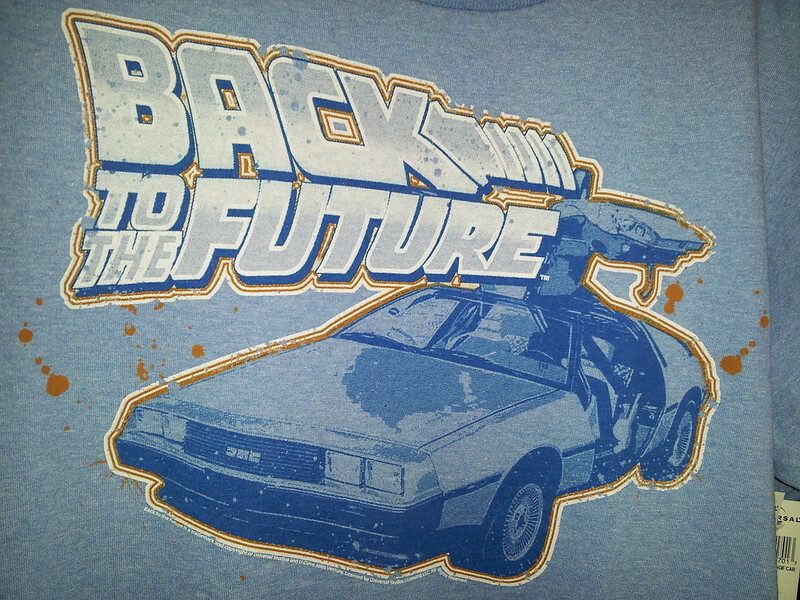 Check out this awesome BTTF shirt from the Production Central shop! Nice to see remnants of our old favorites still around. 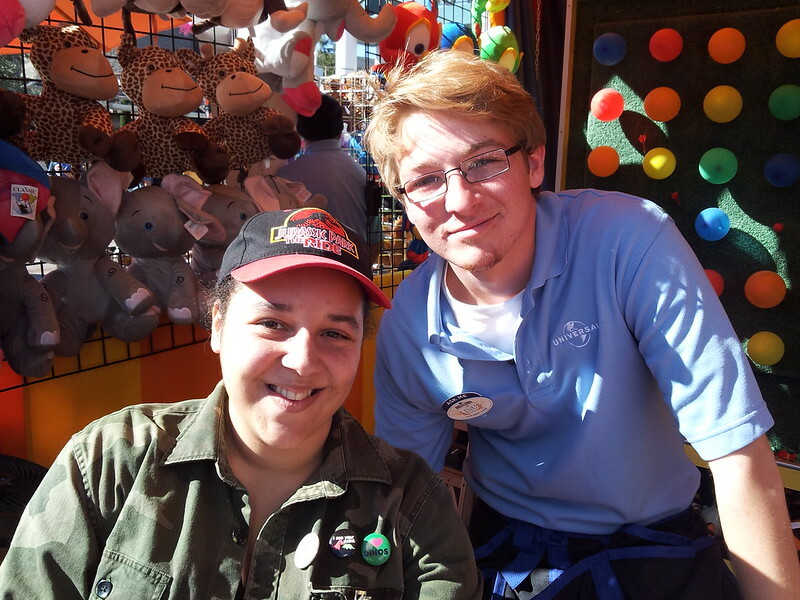 And proving that there are people behind the posts, I met IU member and USH employee Linus at the Simpson’s Carnival Game tent. Jurassic Park fans, unite! And with that, it was time to call it a wrap from Hollywood and head back home. In the 3rd week post-Terminator, we’ve seen Universal make huge steps in starting their new projects, including the lightning fast turnaround on Coke Soak demolition, and the clearing out of the old for the new around the entire park. There are rumors of other small changes to come in the next weeks. Only time will tell what stays fact and what goes fiction, but regardless of what’s true, one thing IS for sure: Things are going to get very interesting in the park in the days to come! 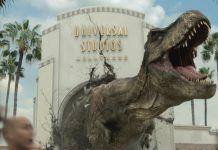 Stay tuned with us for the latest news from Hollywood as we continue to cover the all things Universal! 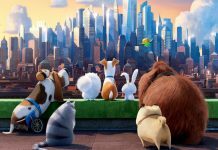 Keep up on the latest news and rumors, meet up with fellow Universal fans, and come join the discussion! Please be sure to visit our NEW forums over at USHForums.com, like our Facebook and follow us on Twitter! Adriana Morgan – also known by her internet handle Miss Betty Juice – is a contributing editor and one of the field reporters for Inside Universal. Adriana made her first trip to Universal in 1995 during Nickelodeon’s Big Help-A-Thon, and was hooked from day one. 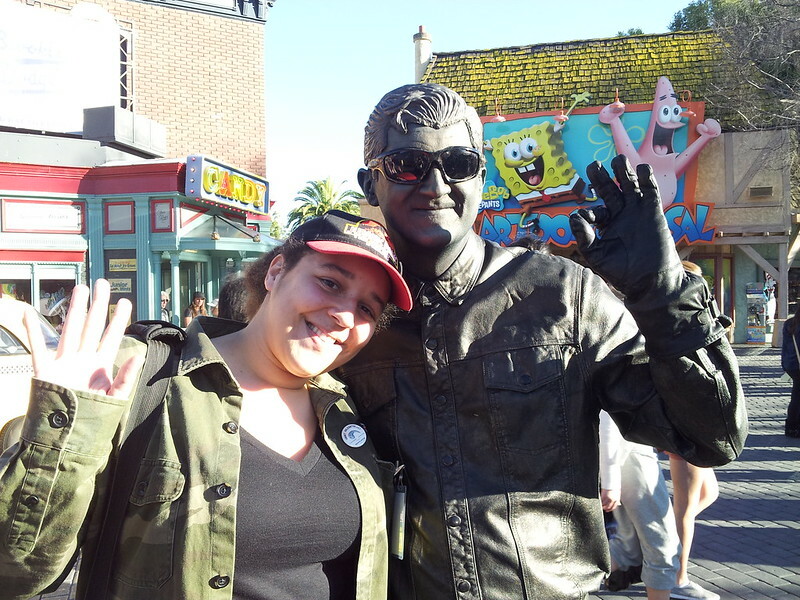 Since that first trip, her passion for films and for Universal Studios has grown, and she continues to enjoy the park and its history today as an annual passholder and a reporter for Inside Universal. Her areas of Universal expertise include Jurassic Park, the Beetlejuice Graveyard Revue, and the Studio Tour. Adriana currently resides in Los Angeles. You can reach her at her blog on Tumblr at MyUniversalExperience.tumblr.com, or at missb@insideuniversal.net.